The reign - and legacy - of Roland’s MT-32 began quietly, in 1987. While professional musicians (as well as those with professional aspirations!) patiently awaited shipment on the company’s blockbuster D-50 synthesiser, the consumer-friendly MT-32 was providing scads of users with many of its more famous sibling’s features at a much lower price. Better still, it offered some things that were not available to the D-50. Released before the terms ‘ROMpler’ or ‘workstation’ had come into regular use, the MT-32 offered features of both in a compact, MIDI-ready desktop module. 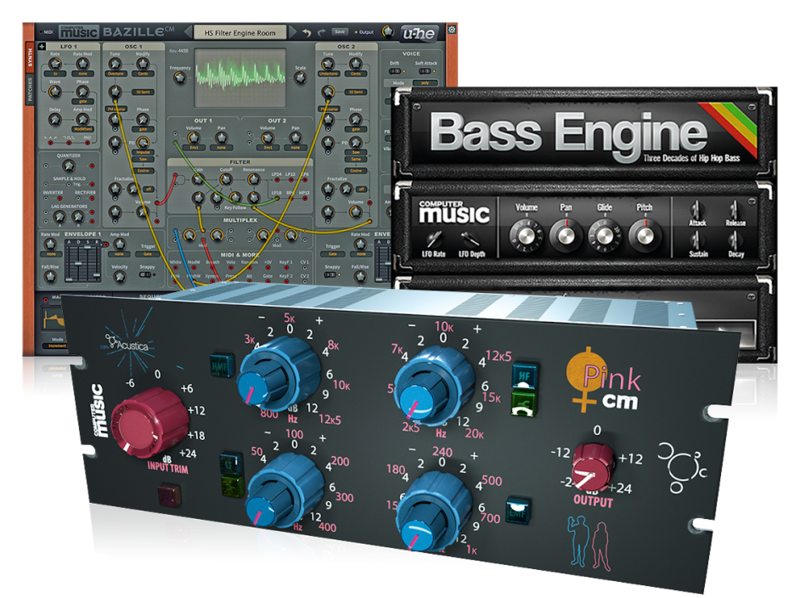 Its rakishly angled front-panel offered access to 128 preset and 64 (volatile!) user patches derived from the same ‘LA’ synthesis technique that powered the D-50’s now legendary sounds. The idea was simple: sampled attack transients were coupled with sustained, synthesised waveforms. Up to four of these ‘partials’ were layered to create lively sounding instruments that were a world apart from the standard sawtooths and squares of the analogue domain. As was the case with the D-50, the 8-bit sounds could be a bit noisy, with any number of nasty artefacts behind a gauzy haze of cheap reverb. In addition to the synthesised tones, the MT-32 contained a healthy collection of sampled drum sounds, culled from the TR-626. Though the instrument was advertised as possessing 32 voices, this number assumed each sound would comprise a single partial. Given that up to four partials might be used for a given patch, the practical voice count was nowhere near as high. 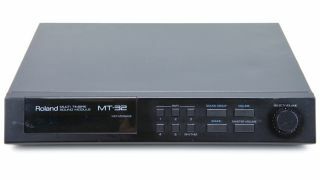 Additionally, the MT-32 was multitimbral, allowing for up to eight channels for instruments, plus another dedicated to drums. In other words, just enough for a reasonably complex arrangement. We take these sorts of features for granted today, but the electronic music market wasn’t so clear in 1987. Roland themselves didn’t seem convinced that the features of the MT-32 would appeal to professional musicians, and aimed the MT-32 at the educational market and the emerging ‘computer music’ scene. It was the latter that pushed the MT-32 to the fore, and it quickly became something of a standard among gamers, to the point that an ‘MT-32 emulation mode’ would become a common feature on soundcards. More than that, the MT-32 was, in effect, the rough draft for General MIDI, as exemplified by its direct descendant, the SC-55 Sound Canvas, released in 1991. Initially snubbed as a creative dead-end by dyed-in-the-wool electronic musicians, General MIDI made it possible to exchange small data files that could be played back on compatible multitimbral instruments with some assurance that they’d sound at least vaguely similar to what the composer had in mind. Today, the MT-32 is primarily admired for its nostalgic value among gamers and old-school computer musicians. Its sounds are too complex for chiptunes, but lack the realism for modern arrangements. Not obscure enough to be hip again, it can be had for next to nothing on the secondhand market. Nevertheless, its impact still resonates, even if its sounds do not! As pointed out above, the MT-32 used the same LA synthesis that fuelled the D-50, so the D-50 itself makes a natural (and in some ways superior) substitute. As it happens, Roland have brought the D-50 back to life in both hardware (Boutique D-05) and this software incarnation. You’ll need to pony up a subscription fee to use it, though. Based on the successor to the MT-32, Sound Canvas iOS is far more sophisticated than either the MT-32 or 1991’s SC-55 Sound Canvas. This one offers 1600 sounds, 63 drum kits, and effects such as reverb, chorus, delay, EQ, plus the ability to play MIDI music files made for Roland’s SC-88 Sound Canvas. This one takes a bit of effort, as it requires ROM files that can't be distributed with the source code. However, if you’re game, Munt offers MT-32 emulation in a free, open-source app. It’s a cross-platform standalone app that runs on Linux, Mac and Windows machines. A Windows-based VSTi version is also available from Falcosoft.